For a moment I thought I had fallen in love with the wrong man. Almost the same sinking feeling I had when, once upon a time, I was in a long-term relationship with a guy that didn’t like garlic. “Oh, you just haven’t had GOOD salmon cooked PROPERLY,” I remedied. How could a fish eater not love salmon? It bursts with flavour (compared to mild white fish like sole or cod). It’s tender and moist (when you don’t overcook it). It’s sustainable and local and exceedingly healthy. The best way to turn things around was to cook it often and cook it well. Over the years, I’ve cooked salmon in countless ways: steamed, grilled, roasted, poached, chowdered, in fishcakes. With and without sauce. Hot and cold. You name it. I’ve managed to wear Roland down and his appreciation for salmon has increased considerably. You can imagine my surprise when one drizzly, early Spring morning at the Farmers Market, he handed me a brochure. “I think we should join.” It was for a community supported fishery for local, wild salmon. “I thought you didn’t like salmon!” I blurted aghast. A good idea indeed. Community supported agriculture is based on a model where farmers or food producers are paid at the beginning of a season so that they can invest the money into their food production, whether it’s for their farm or in this case, to outfit a fisherman’s boat and equipment. This guarantees some income security and that they are paid fairly for their food. 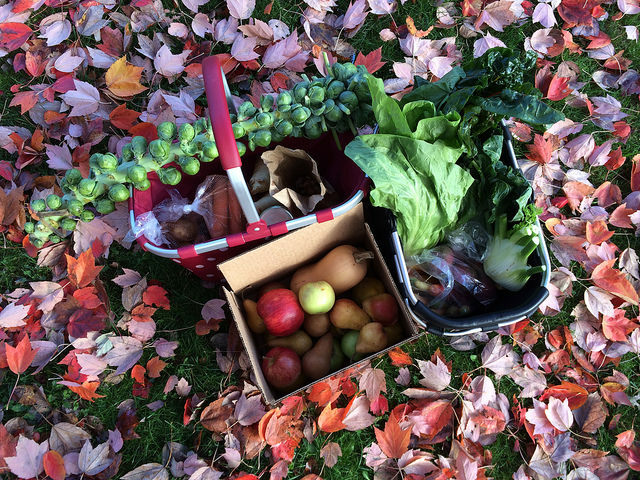 What share members get is an entire season of fresh, local, sustainable food and knowledge of exactly how and where their food is produced or procured. A win-win situation for producers and consumers. We took the brochure home, thought about it for a day and hardly hesitated to sign up. I had been wanting to include more fish in our diet, especially a fatty fish like salmon that includes high amounts of brain and heart healthy omega-3’s. What often held me back from buying more fish, though, was not knowing exactly where and how it was caught. Now I would know that ethically, this salmon would be caught sustainably and would not deplete delicate fish stocks. When we got our first e-mail that the boat was going out and we’d soon be getting our first salmon of the season, we paced and anticipated as though we were waiting for the birth of a baby. When our pick up day finally rolled around we piled into the car and hurried to the dock. We beamed as we picked out our first CSF sockeye. The boy posed with the gleaming fish more than half his height. I posed with my lips ready and puckered to kiss the fish. We were ecstatic to support a fisherman who is doing his best to make a living by fishing sustainably to feed others. We rushed home to quickly cut the salmon into steaks and steep it in a gingery, sweet, savoury marinade before gently grilling it. We sat down to a memorable, delicious dinner knowing that all in the food chain was well. In a shallow dish, combine ginger, garlic, honey or maple syrup, soy sauce and chipotle. Stir well to combine. Coat salmon pieces with marinade and let rest in refrigerator for 30 minutes or up to 2 hours. Grill salmon over medium-high heat until done to your liking, about 4 minutes each side. Alternatively, roast the salmon in a preheated 450 degree F oven for 10 minutes for every inch of fish.